Jammu and Kashmir has witnessed the worst border skirmishes between India and Pakistan along the LoC this year. 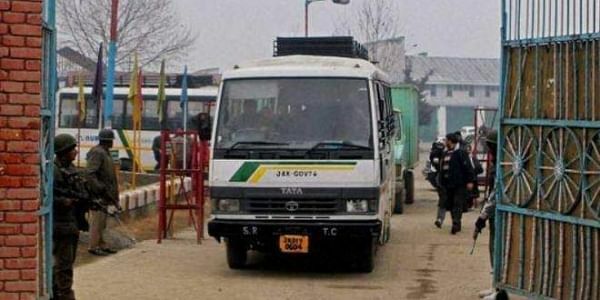 JAMMU: After remaining suspended for nearly four months, cross-LoC trade between Jammu and Kashmir and Pakistan-occupied Kashmir via Poonch-Rawalkote road is expected to resume next week, a government official said today. The decision to resume the suspended travel and trade was taken at a meeting between officials of the two sides near the Line of Control yesterday, custodian of LoC trade (Poonch), Mohammad Tanveer told PTI. Authorities in Jammu and Kashmir have sought a meeting with their counterparts from PoK to discuss the modalities for resumption of the cross-LoC travel and trade, which gets hit due to cross-border shelling. While the bus service connecting the divided parts of Kashmir was suspended on July 10, the trade, which takes place for four days a week from Tuesday, also remain suspended from July 11. According to official figures, goods worth Rs 1,500 crore were traded since the start of the facility in 2008. The Indian Army figures, till August 1, said there were 285 ceasefire violations by the Pakistan Army, while in 2016, the number was 228 for the entire year. Eleven people, including nine soldiers, were killed and 18 injured in ceasefire violations by the Pakistan Army in July, they added.